As a world leader in event and conference management, MCI know how to throw a party. MCI Group is a world leader in event and conference management, and organise some of the globe’s most innovative corporate gatherings. With a range of services that includes Product launches, Congresses, Association conferences, MCI has a giant global audience split across multiple industries, all with individual needs and requirements. 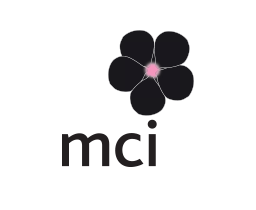 Our role is to improve MCI’s digital design and effectiveness across their digital estate. We work with them to implement carefully planned, measurable, iterative improvements. These are then tested in one market or division and then rolled out globally. It’s built on the ‘aggregation of marginal gains’ theory, where lots of small positive changes all add up to make one big difference. 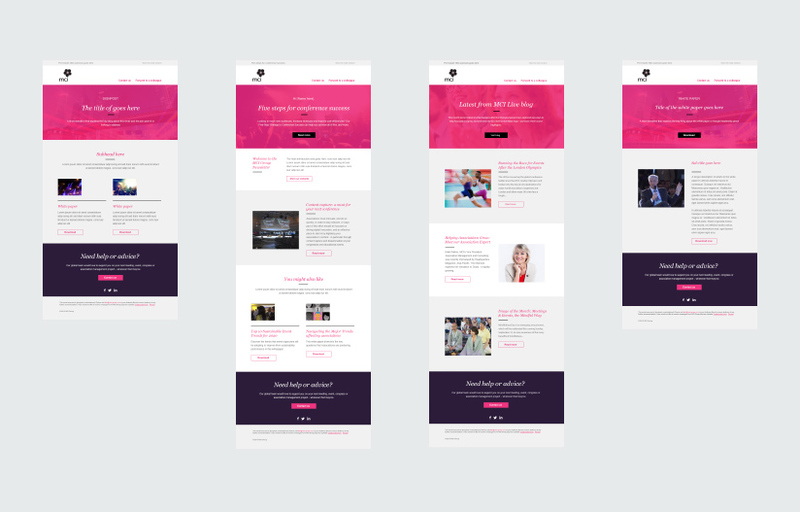 A flexible set of email templates based on a modular system that can be used for newsletters, announcements or event invites. Replaces hundreds of different email styles. 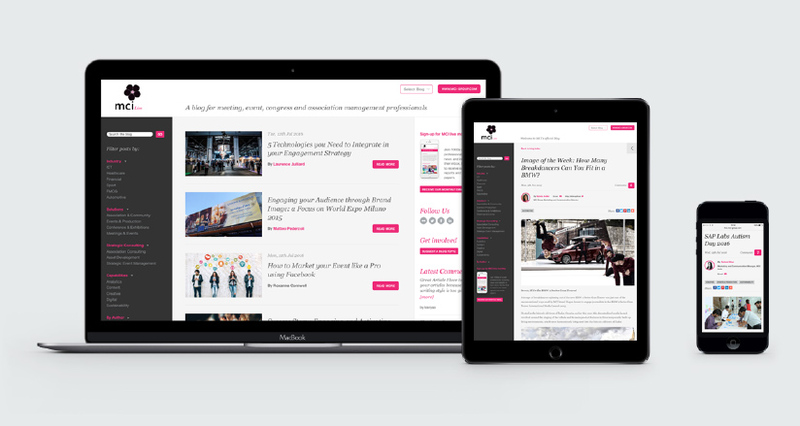 A central, global blog platform that allows MCI offices around the world to publish their own market-relevant content. 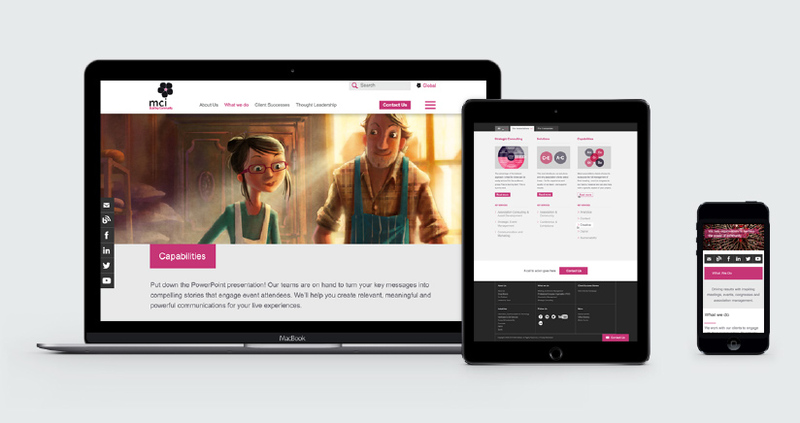 Enables a consistent presentation of the brand across all markets. Proposition-specific microsites to target specific market sectors and regions, built on a CMS that allows fast deployment and AB testing. 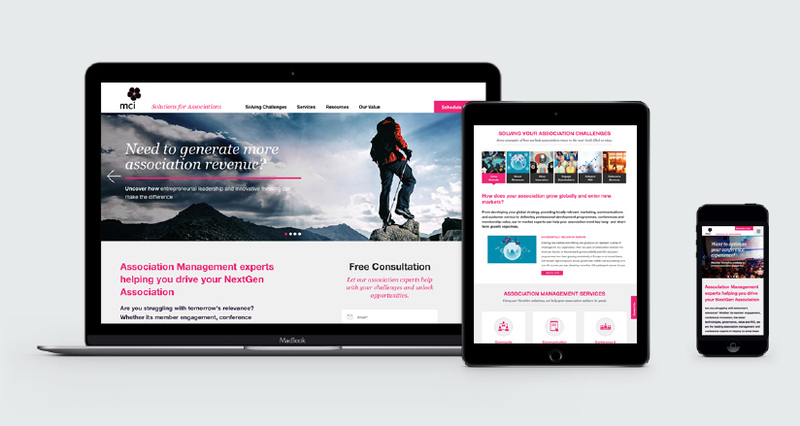 A range of enhancements to navigation design, interactive elements and page design. "You and your team did great work."